Dear No One EOPN is provided for you and you can open it with EOP NMN Follow ME plugin to play Dear No One piano by following it. Enjoy Now! 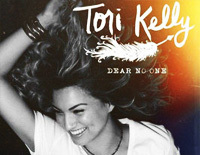 Dear No One is a single by American singer Tori Kelly in her album Foreword. It was released as iTunes' "Free Single of the Week" on October 23, 2013.